Dear Pueri Cantores, My Family by Choice! Today Jesus Christ stands before us saying to each of us as He did to His Apostles in the Cenacle: Peace be to you! Receive the Holy Spirit! This scene continually reoccurs in our lives. On the day of Pentecost we are continually filled with the Holy Spirit. It is so to make us experience that we are a special instrument chosen by God Himself. There is one God in the Church, but there are many gifts. Today we learn from the Liturgy of the Word in which St. Paul convinces us by explaining: Now there are varieties of gifts, but the same Spirit; and there are varieties of services, but the same Lord; and there are varieties of activities, but it is the same God who activates all of them in everyone. Here we are, opening ourselves for the action of the Holy Spirit in us and He Himself becomes our internal guide leading us towards God, that is, towards the Good, towards our sanctity, and lastly, to our salvation. Such is also a duty of our community whose name is Pueri Cantores as we are little messengers of faith, hope, peace and beauty, we are these who become the helpers of the Divine grace by serving God and man. We are the instruments in the hands of God so that music could shape our souls, and so that we could also help others in achieving this. This is my last letter to you before finishing my term of the office of the President of the International Federation of Pueri Cantores as during the Annual General Meeting on 26 August 2017 in Barcelona the Presidents of all national Federations are going to elect my successor. Therefore I wish to embrace you all with my wholehearted prayer and generous feelings, and to express a great thank you for all these years in the course of which I have been privileged to lead our community. On 11 July 2009, at our Congress in Stockholm and on 24 August 2013 in Paris your representatives twice commended me to this honourable function and task of uniting all into one, evangelizing through music and sharing love and good in every corner of the globe. 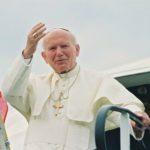 I am convinced that my special patron and mentor throughout all this time has been the Saint Pope and friend of Pueri Cantores John Paul II whose presence I could feel at every meeting with you and to whom I have continuously entrusted you all. Now I am looking at all this which has taken place – by God’s grace – and thanks to collaboration with the Presidents and Correspondents from Federations all over the world. I wish to emphasise that it was all by God’s grace and as the Word of God teaches us: Not to us, O Lord, not to us, but to your name give glory. During my presidential term of office I have paid nearly 180 visits abroad and around my home country in the matters of Pueri Cantores; we have established new Federations in Mexico and Portugal, hoping to admit: Haiti, Venezuela and Colombia to our community in August this year; we have appointed new Correspondents in: Denmark and Romania, with further appointment of the others from: Panama, Peru, Argentina, Ecuador, Bosnia and Herzegovina, Croatia and Hungary scheduled for August as well; in 2013 we approved the Document of Spirituality and Identification with Pueri Cantores Ideals, to be supplemented in August 2017 with the Programme of Spirituality for All Pueri Cantores Community; on 25 March 2014 we signed the Cooperation Agreement with the Representatives of the Church of England from the Royal School of Church Music hoping for a long-term and effective cooperation of these two musical and liturgical organisations; during that time we have experienced several International Congresses in: Rome (28 December 2010-1 January 2011), Granada (11-15 July 2012), Washington, DC (3-7 July 2013), Paris (9-13 July 2014) and Rome (28 December 2015-1 January 2016). Now we are awaiting the Congress in Rio de Janeiro to be held on 18-23 July 2017. How much goodness has been done in us and in our choirs is probably known only to our Lord Whom I wish to praise for the honour to conduct this mission of the Church made through music. Let me express my gratitude to you all for your cooperation and generosity I could invariably encounter. I wish to express many words of thanks to my great predecessors: the late Siegfried Koesler to whom I was privileged to say good-bye two weeks before his death and thank him for an illustrious example of life for us all, and to my great friend and father Josep Ma. Torrents who had laid the true foundations to allow you and me to build on them. Let me thank to my closest assistants and say that this cooperation was a great honour to me, thank you for the bonds of friendship which have made us united. I also wish to say that none of all these God’s works would have been accomplished without your invaluable support. The visits to your Federations worldwide made me aware of the necessity of learning your problems and matters, and of leading with love this Christ’s fold whichPueri Cantores, in its small scale,is in the world, while forgetting about myself and my own affairs. If, during that time, I failed to treat somebody with love, if I did not listen enough and treated someone without due respect, if I did not fulfill expectations, if I wronged someone, now I wish to offer my most sincere and public apology. I do hope that God Himself will finish the good work He started! There is a great task ahead of Representatives of all our Federations – the election of a new President of the International Federation of Pueri Cantores to be scheduled for 26 August 2017 in Barcelona (a symbolic day for me as it is the Feast of the Our Lady of Cz?stochowa, the Patroness of Poland). It is truly not an easy task, as it is not merely an election, but first and foremost giving the helm and entrusting our community to a person who, like a good father, will draw from the old and look into the future with hope. Our Federation, operating today in 42 world countries, needs a strong support and huge determination to continue its activities. I am fully convinced and I truly believe that the future of the Church and of the world, and the future of Pueri Cantores is in God’s hands. That is why I make this request so that we would commence already today – on the Feast of Pentecost – our prayer to the Holy Spirit – Veni Sacte Spiritus … asking our Lord for a good election of the President of Pueri Cantores. Let us say this prayer every day. Let us sing it daily or pray together so that we would become united into one choir praying for our family whose name is Pueri Cantores, and in this way assist our Representatives through the election in Barcelona. I thank you all for everything, asking for the intercession of St. Dominic Savio, the Patron Saint of Pueri Cantores. May the Good Lord bless you and keep you, may Hemake his face shine on you and be gracious to you! I remember each of you in my prayers, my Dear Pueri Cantores! Très chers Pueri Cantores, chère famille que j’ai choisie moi-même! Aujourd’hui Jésus se présente devant nous et nous dit à chacun et à chacune ce qu’il a dit aux Apôtres au Cénacle: La paix soit avec vous! Recevez le Saint Esprit! Cette situation se répète constamment dans nos vies. Surtout le jour de la Pentecôte nous nous remplissons du Saint Esprit. Et c’est ainsi, parce que nous éprouvons le fait d’être des instruments choisis par Dieu lui-même. Dans l’Église il n’y a qu’un seul Seigneur, mais les dons sont nombreux. Aussi saint Paul nous convainc aujourd’hui, en expliquant: Maintenant il y a une diversité de dons, mais un seul Esprit; il y aune diversité de ministères, mais un seul Seigneur; il y a une diversité d’activités, mais un seul Dieu, qui fait tout en tous.Ouvrons-nous donc au Saint Esprit qui agit en nous, et Il sera notre Guide intérieur qui nous mène à Dieu, qui est la Bonté et la sainteté, et donc vers le salut. C’est la tâche de notre communauté qui s’appelle Pueri Cantores, que tout en étant de petits messagers de foi, espérance, paix et beauté, nous soyons des serviteurs de Dieu et de l’homme, afin que nous devenions des assistants de la grâce du Seigneur. Nous sommes des instruments dans les mains du bon Dieu : la musique éduque nos âmes, mais en même temps nous aidons les autres à faire une expérience semblable. Aujourd’hui je vous adresse ma dernière lettre en tant que président de la Fédération Internationale des Pueri Cantores, parce que le 26 Août 2017 les présidents de chaque Fédération de vos Pays, lors de l’Assemblée générale à Barcelone, éliront mon successeur. Je tiens donc à vous embrasser avec mes prières et avec la bonté du cœur, et vous dire un grand merci pour toutes les années au cours desquelles j’ai guidé notre communauté. Le 11 Juillet 2009, lors de notre Congrès à Stockholm, et par la suite le 24 Août 2013 à Paris, vos représentants m’ont confié ce rôle honorifique et la tâche de créer l’unité, d’évangéliser à travers la musique et de partager l’amour et le bien par tous les coins du monde. Je suis convaincu que mon patron et mentor par excellence a été saint Jean Paul II, pape et ami des Pueri Cantores. Chaque fois que je vous ai rencontrés j’ai senti sa présence et je vous ai confiés vous tous à lui. Je pense à tout ce qui s’est passé – par la grâce de Dieu et grâce à la collaboration de tous les présidents et correspondants de la Fédération dans tous les Pays du monde. Je souligne: par la grâce de Dieu, parce que la Parole de Dieu nous enseigne: Non pas à nous, Seigneur, non pas à nous, mais à ton Nom donne la gloire! Au cours de cette période j’ai fait près de 180 visites à l’extérieur et à mon Pays, qui étaient liées avec des sujets concernant notre Fédération. Nous avons établi de nouvelles Fédérations: au Mexique et au Portugal, et au mois d’Août 2017, je l’espère, il y en aura d’autres: Haïti, Venezuela et Colombie. Nous avons nommé des correspondants au Danemark et en Roumanie et en Août s’ajouteront ajoutées celles de: Panama, Pérou, Argentine, Equateur, Bosnie et Herzégovine, Croatie et Hongrie. En 2013 nous avons approuvé le Document sur la spiritualité et sur l’identification avec les idéaux des Pueri Cantores. Cette étape sera suivie en Août 2017, avec le Programme spirituel pour toute notre communauté. Le 25 Mars 2014, à Cracovie, j’ai signé avec les représentants de l’Église Anglicane des accords avec la Royal School of Church Music. J’espère qu’ils seront utiles pendant plusieurs années pour une bonne collaboration de nos deux organisations liturgiques-musicales. Durant cette période nous avons célébré les Congrès Internationaux suivants: à Rome (28 Décembre 2010 – 1er Janvier 2011), à Grenade (11-15 Juillet 2012), à Washington (3-7 Juillet 2013), à Paris (9-13 Juillet 2014) et à Rome (28 Décembre 2015 – 1er Janvier 2016). Actuellement nous préparons le Congrès de Rio de Janeiro qui aura lieu du 18 au 23 Juillet 2017. Tout le bien que nous en avons reçu nous et nos chœurs, Dieu seul le sait et c’est à Lui que je rends grâces pour m’avoir donné la possibilité de participer à cette mission de l’Église à travers la musique. Je vous remercie vous tous pour votre collaboration et gentillesse que vous m’avez toujours accordées. Je remercie mes prédécesseurs extraordinaires: Siegfried Koesler que j’ai pu saluer deux semaines avant sa mort, en le remerciant pour son exemple de vie qu’il nous a donné à nous tous, et Josep M. Torrents qui a mis les véritables fondements sur lesquels j’ai pu construire avec vous tous. Merci à mes collaborateurs plus directes et je tiens à le dire clairement: travailler avec vous a été un grand honneur pour moi et je vous remercie pour les liens d’amitié qui nous ont unis. Je le dis clairement, que sans vous et sans votre inestimable aide, toutes ces œuvres de Dieu n’auraient pas pu être réalisées. Les visites aux maisons de nos Fédérations dans le monde m’ont fait comprendre qu’il est nécessaire de connaître vos problèmes et guider avec amour le troupeau du Christ en une petite dimension formée par les Pueri Cantores du monde, avec l’oubli de moi-même et de mes problèmes personnels. Si en un moment donné je n’ai pas su traiter quelqu’un avec l’amour et la dignité que j’aurais dû avoir, si je n’ai pas écouté et je n’ai pas satisfait ce qu’on attendait de moi, si j’ai fait du mal à quelqu’un – maintenant, publiquement je vous présente mes excuses. J’espère que Dieu, qui a commencé en nous son œuvre, la mènera jusqu’au bout! Devant nos représentants de toutes les Fédérations du monde, le 26 Août 2017 à Barcelone (pour moi c’est une date symbolique, car ce même jour c’est la fête de Notre Dame de Cz?stochowa, Patronne de mon Pays), il y a une tâche importante, l’élection du président de la Fédération Internationale des Pueri Cantores. Ce n’est pas une chose facile, parce qu’il ne s’agit que d’une simple votation, mais surtout confier le guidage de notre communauté à une personne qui – comme un bon père – à partir de l’ancien saura regarder vers le futur avec espérance. La Fédération, qui aujourd’hui est présente dans 42 Pays, a besoin d’un grand soutien et d’une claire détermination dans tout ce qu’elle entreprend. Je suis convaincu et je le crois profondément, que le futur de l’Église et du monde est aux mains de Dieu. Je vous demande à vous tous: commençons dès aujourd’hui – le jour de la Pentecôte –de prier au Saint Esprit Veni Sancte Spiritus, en priant pour une bonne élection du nouveau président des Pueri Cantores. Que cette prière nous accompagne tous les jours. Chantons-la chaque jour ou récitons-la, et ainsi nous serons réunis en un Chœur de prière pour notre Pays, pour notre famille qui s’appelle Pueri Cantores. Ainsi nous accompagnerons les représentants durant les élections à Barcelone. Merci à tous pour tout et je vous demande de prier à saint Domenico Savio, patron des Pueri Cantores, qu’il intercède pour nous. Que le Seigneur vous bénisse vous tous et qu’il vous garde. Qu’Il vous montre son visage et vous accorde sa grâce! Vous êtes présents dans mes prières, mes très chersPueri Cantores! Liebe Pueri Cantores, meine liebe Wahlfamilie! Heute steht Jesus Christus vor uns und spricht zu jeder und jedem von uns wie zu seinen Aposteln im Abendmahlsaal: Der Friede sei mit euch! Empfanget den Heiligen Geist! Diese Situation wiederholt sich immer wieder in unserem Leben. An Pfingsten sind wir vom Heiligen Geist erfüllt. Dies geschieht, damit wir sehen, wie sehr wir ein auserwähltes Werkzeug Gottes sind. In der Kirche gibt es einen Gott, aber viele Gnadengaben. So wie es uns hl. Paulus in der heutigen Liturgie vor Augen führt: Es gibt unterschiedliche Zuteilungen von Gnadengaben, aber es ist derselbe Geist; und es gibt unterschiedliche Zuteilungen von Diensten, aber es ist derselbe Herr; und es gibt unterschiedliche Zuteilungen von Wirkungen, aber es ist derselbe Gott, der alles in allen wirkt. Wir öffnen uns für die Wirkung des Heiligen Geistes, er führt uns zu Gott, d.h. zum Guten, zur Heiligkeit und schließlich zum Heil. Eine ähnliche Aufgabe hat auch unsere Gemeinschaft, deren Name Pueri Cantores ist. Denn indem wir kleine Boten des Glaubens, der Hoffnung und der Schönheit sind, werden wir zu Helfern der Gnade Gottes. Wir sind Werkzeuge in Gottes Hand, sodass die Musik unsere Seele verwandelt wir wiederum den anderen helfen können. Ich schreibe heute als Präsident des Internationalen Verbandes Pueri Cantores meinen letzten Brief an euch, denn am 26. August 2017 werden die Präsidenten der nationalen Verbände während der Generalversammlung in Barcelona meinen Nachfolger wählen. Ich möchte euch alle in mein herzliches Gebet einschließen und euch ein großes Dankeschön für all die Jahre aussprechen, in denen ich unsere Gemeinschaft leiten konnte. Am 11. Juli 2009 während des Kongresses in Stockholm und dann am 24. August in Paris wurde mir dieses ehrenvolle Amt anvertraut, mit dem Auftrag, zu vereinen, durch Musik zu evangelisieren und das Gute und die Liebe in jede Ecke der Welt zu bringen. Ich bin überzeugt, dass es mein besonderer Patron und Lehrer, der heilige Papst und der Freund der Pueri Cantores, Johannes Paul II. war, dessen Gegenwart ich jedes Mal beim Treffen mit euch gespürt und dem ich euch alle auch immer anvertraut hatte. Ich blicke auf alles zurück, was – aus Gottes Gnade – in Zusammenarbeit mit Präsidenten und Korrespondenten des Verbandes in allen Ländern geschehen ist. Ich betone: aus Gottes Gnade, denn das Wort Gottes lehrt uns: Nicht uns, Herr, nicht uns, sondern deinem Namen gib Ehre. In dieser Zeit habe ich 180 Auslands- und unzählige Inlandreisen unternommen. Wir haben neue Verbände in Mexiko und Portugal gegründet, im August dieses Jahres werden sich uns auch Haiti, Venezuela und Kolumbien anschließen. Wir haben Korrespondenten in Dänemark und Rumänien berufen; im August kommen weitere hinzu: in Panama, Peru, Argentinien, Ecuador, Bosnien und Herzegowina, in Kroatien und Ungarn. 2013 haben wir das Dokument über die Identität der Pueri Cantores angenommen, dem wir im August das spirituelle Programm für jede unserer Gemeinschaften hinzufügen werden. Mit den Vertretern der anglikanischen Kirche habe ich am 25. März 2014 in Krakau ein Abkommen mit Royal School of Church Music unterzeichnet. Ich hoffe, dass es jahrelang eine gute Zusammenarbeit von zwei musikalisch-liturgischen Institutionen fördern wird. In dieser Zeit haben wir folgende internationale Kongresse veranstaltet und erlebt: Rom (28. Dez. 2010 -1. Jan. 2011), Granada (11.-15. Juli 2012), Washington (3.-7. Juli 2013), Paris (9.-13. Juli 2014), Rom (28. Dez. 2015- 1. Jan. 2016). Nun warten wir auf den Kongress in Rio de Janeiro, der vom 18. bis 23. Juli 2017 stattfinden wird. Nur Gott selbst weiß, wie viel Gutes in uns und in unseren Chören passiert ist, darum spreche ich ihm einen großen Dank aus, dass ich an dieser Mission der Kirche durch die Musik teilnehmen durfte. Euch allen danke ich für Kooperation und die Freundlichkeit, auf die ich immer stieß. Ich danke meinen wunderbaren Vorgängern: Siegfried Koesler, den ich 2 Wochen vor seinem Tod noch treffen und dem ich von uns allen für sein vorbildliches Leben danken konnte, sowie meinem großen Freund und Vater Josep Ma. Torrents, denn er hat die Fundamente für das gelegt, worauf ich mit euch dann bauen konnte. Ich danke meinen engsten Mitarbeitern und ich will es betonen: die Arbeit mit euch war eine große Ehre für mich. Danke auch für die Freundschaft, die uns verband. Ich muss sagen, dass ohne euch all diese Werke Gottes nicht hätten zustande kommen können. Besuche bei unseren Verbänden in aller Welt zeigten mir, wie nötig es ist, eure Probleme und Anliegen kennen zu lernen sowie die Herde Christi in diesem kleinen Ausmaß, das Pueri Cantores in der Welt hat, mit Liebe zu führen, sich selbst und seine Angelegenheiten vergessend. Sollte ich in dieser Zeit jemanden nicht mit Liebe behandelt haben, sollte ich jemanden nicht gehört oder nicht mit gebührendem Respekt behandelt haben, sollte ich jemandes Erwartungen nicht erfüllt haben, sollte ich jemand verletzt haben – für all das will ich mich nun bei euch öffentlich entschuldigen. Ich hoffe, das Gott das Werk vollende, das er begonnen hat! Unsere Vertreter aus allen Verbänden in der Welt stehen vor einer großer Aufgabe, am 26. August 2017 in Barcelona (für mich ist das ein symbolisches Datum, denn das ist der Tag der Patronin meines Vaterlandes – das Fest Mariä von Tschenstochau), einen neuen Präsidenten des Internationalen Verbandes Pueri Cantores zu wählen. Das ist nicht einfach, denn das ist nicht nur die Abstimmung, sondern auch das Anvertrauen der Leitung der Gemeinschaft an eine Person, die wie ein guter Vater aus dem alten Erbe schöpfen und mit Hoffnung in die Zukunft blicken wird. Unser Verband ist in 43 Ländern präsent, er braucht eine große Unterstützung und Entschiedenheit in seiner Tätigkeit. Ich bin fest überzeugt, dass die Zukunft der Kirche und der Welt, die Zukunft der Pueri Cantores in Gottes Hand liegt. Ich bitte euch alle, beginnen wir heute – gerade am Tag der Ausgießung des Heiligen Geistes – das Gebet zum Heiligen Geist Veni Sacte Spiritus…, um eine gute Wahl des neuen Präsidenten Pueri Cantores zu bitten. Das Gebet begleite uns jeden Tag! Singen oder sprechen wir es täglich, sodass wir in einem Gebetschor verbunden werden, beten wir für unsere Familie, deren Name Pueri Cantores ist, so werden wir alle unsere Vertreter während der Wahlen in Barcelona begleiten können. Ich danke allen für alles und bitte den hl. Dominikus Savio, den Patron der Pueri Cantores, um die Fürsprache. Der Herr segne euch alle, behüte euch, lasse sein Angesicht leuchten über euch und der Herr sei euch gnädig! Ich schließe eine jede und einen jeden von euch in mein Gebet ein, meine lieben Pueri Cantores! Muy queridos Pueri Cantores, estimada familia mía escogida per mí mismo! Hoy Jesús se presenta ante nosotros y nos dice a cada uno y a cada una lo que dijo a los Apóstoles en el Cenáculo: Paz a vosotros! Recibid el Espíritu Santo! Esta situación se repite constantemente a lo largo de nuestra vida. Durante todo el día de Pentecostés nos llenamos del Espíritu Santo. Y es así, porque experimentamos el hecho de ser instrumentos elegidos por Dios mismo. En la Iglesia el Señor es Uno, pero los dones son muchos. También san Pablo nos convence hoy, explicando: Ahora bien, hay diversidad de dones, pero un solo Espíritu;hay diversidad de ministerios, pero un solo Señor; haya diversidad de actividades, pero un solo Dios, que obra todo en todos.Abrámonos pues al Espíritu Santo que actúa en nosotros, y Él se convierte en nuestro Guía interior que nos conduce hacia Dios, es decir hacia el Bien y la santidad, y por lo tanto hacia la salvación. Esta es la tarea de nuestra comunidad que se llama Pueri Cantores, porque siendo pequeños mensajeros de fe, esperanza, paz y belleza, somos los que a través del servicio a Dios y al hombre nos convertimos en ayudantes de la gracia del Señor. Somos instrumentos en las manos de Dios: la música educa nuestras almas, pero al mismo tiempo ayudamos a los demás a hacer una experiencia análoga. Hoy os dirijo mi última carta como presidente de la Federación Internacional de Pueri Cantores, porque el 26 de agosto de 2017 los presidentes de cada una de las Federaciones de vuestros Países, durante la asamblea general en Barcelona, elegirán a mi sucesor. Deseo pues abrazaros con mis plegarias y con la bondad del corazón, y deciros un “gracias” muy grande por todos los años durante los cuales he guiado nuestra comunidad. El 11 de julio de 2009, durante nuestro Congreso de Estocolmo, y después el 24 de agosto de 2013 en París, vuestros representantes me confiaron por dos veces esta función honorífica y la tarea de crear unidad, de evangelizar mediante la música i de compartir el amor y el bien en todos los rincones del mundo. Estoy convencido de que mi patrono y mentor por excelencia ha sido san Juan Pablo II, papa y amigo de los Pueri Cantores. Cada vez que os he encontrado, he sentido su presencia y siempre os he confiado a todos vosotros a él. Pienso en todo lo que ha ocurrido – por la gracia de Dios y gracias a la colaboración de todos los presidentes y corresponsales de la Federación en todos los Países del mundo. Subrayo: por la gracia de Dios, porque la Palabra de Dios nos enseña: No a nosotros, Señor, no a nosotros, sino a tu nombre da gloria! Durante este período he realizado casi 180 visitas al exterior y a mi Patria, que estaban relacionadas con temas de nuestra Federación. Hemos establecido nuevas Federaciones: en México y en Portugal, y el próximo agosto, espero, que se añadirán también: Haití, Venezuela y Colombia. Hemos nombrado los corresponsales de Dinamarca y de Rumanía; y en agosto se añadirán las de Panamá, Perú, Argentina, Ecuador, Bosnia y Herzegovina, Croacia y Hungría. En 2013 aprobamos el Documento sobre la espiritualidad y sobre la identificación con los ideales de Pueri Cantores. Irá siguiendo, a partir de agosto de 2017, con el Programa espiritual para toda nuestra comunidad. El 25 de marzo de 2014, en Cracovia, firmé junto con los representantes de la Iglesia Anglicana acuerdos con la Royal School of Church Music. Espero que sirvan durante años para una buena colaboración de nuestras dos organizaciones litúrgico-musicales. En este período de tiempo hemos celebrado los siguientes Congresos Internacionales: en Roma (28 diciembre 2010 – 1 de enero 2011), en Granada (11-15 julio 2012), en Washington (3-7 julio 2013), en París (9-13 julio 2014) y en Roma (28 diciembre 2015 – 1 enero 2016). Actualmente estamos preparando el Congreso de Río de Janeiro que se celebrará del 18 al 23 julio 2017. Todo el bien que se nos haya dado a nosotros y a nuestros coros, sólo lo sabe Dios y a Él le doy las gracias por haberme dado la posibilidad de participar en esta misión de la Iglesia mediante la música. Os agradezco a todos vosotros la colaboración y le amabilidad que siempre he encontrado. Agradezco a mis predecesores extraordinarios: Siegfried Koesler a quien pude saludar dos semanas antes de su defunción, agradeciéndole su ejemplo de vida que nos dio a todos nosotros, y a Josep M. Torrents que puso las bases sobre las que he podido trabajar junto con vosotros. Gracias a mis colaboradores más directos y quiero decirlo claramente: trabajar con vosotros ha sido para mí un gran honor y os agradezco los vínculos de amistad que nos han unido. Quiero manifestar que sin vosotros y sin vuestra inestimable ayuda, todas estas obras de Dios no habría sido posible realizarlas. Las visitas a los lugares de nuestras Federaciones en el mundo me han hecho comprender la necesidad de conocer vuestros problemas y guiar con amor el rebaño de Cristo de dimensión reducida formado por los Pueri Cantores del mundo, olvidándome de mí mismo y de mis propios problemas. Si en algún momento no he sabido tratar a alguien con el amor y la dignidad debidos, si no he escuchado y no he satisfecho las expectativas, si he hecho daño a alguien – ahora, públicamente pido disculpas. Espero que Dios, que ha comenzado en nosotros su obra, la culmine! Ante nuestros representantes de todas las Federaciones del mundo, el 26 de agosto 2017 en Barcelona (para mí es una fecha simbólica, porque el mismo día coincide la fiesta de Nuestra Señora de Cz?stochowa, Patrona de mi País), hay un trabajo importante, la elección del presidente de la Federación Internacional de Pueri Cantores. No es una cosa fácil, porque no se trata sólo de una votación, sino especialmente confiar el timón de nuestra comunidad a una persona que – como un buen padre – partirá de lo antiguo y mirará hacia el futuro con esperanza. La Federación, que hoy está presente en 42 Países, necesita un gran apoyo y una determinación en lo que hace. Estoy convencido y lo creo profundamente, que el futuro de la Iglesia y del mundo está en manos de Dios. Os lo pido a todos vosotros: empecemos ya hoy – el día de Pentecostés – la oración al Espíritu SantoVeni Sancte Spiritus, rogando por una buena elección del nuevo presidente de los Pueri Cantores.Que esta oración nos acompañe cada día. Cantémosla cada día o recitémosla, y así estaremos reunidos en un coro de oración por nuestro País, por nuestra familia que se llama Pueri Cantores. Así todos acompañaremos a los representantes durante las elecciones en Barcelona. Os doy las gracias a todos por todo y os pido que recemos a san Domenico Savio, patrón de los Pueri Cantores, para que interceda por nosotros. Que el Señor os bendiga a todos y os guarde. Que os enseñe su rostro y os dé su gracia! Os tengo presentes a todos en mis oraciones, muy queridos míosPueri Cantores! Kochani Pueri Cantores, moja droga rodzino z wyboru! Dzisiaj staje przed nami Jezus Chrystus i mówi od ka?dej i ka?dego z nas, tak jak do Aposto?ów w Wieczerniku: pokój wam! We?mijcie Ducha ?wi?tego! Ta sytuacja nieustannie powtarza si? w naszym ?yciu. W dzie? Zes?anie Ducha ?wi?tego jeste?my nim nieustannie nape?nieni. Dzieje si? tak dlatego, by?my do?wiadczyli jak bardzo jeste?my szczególnie wybranym narz?dziem Boga samego. W Ko?ciele jeden jest Bóg, ale darów jest wiele. Tak jak dzisiaj przekonuje nas w liturgii S?owa ?w. Pawe? t?umacz?c: ró?ne s? dary ?aski, lecz ten sam Duch, ró?ne s? te? rodzaje pos?ugiwania, lecz jeden Pan, ró?ne s? wreszcie dzia?ania, lecz ten sam Bóg, sprawca wszystkiego we wszystkich. Oto otwieramy si? na dzia?anie Ducha ?wi?tego w nas, a On staje si? naszym wewn?trznym przewodnikiem w stron? Boga, czyli Dobra, naszej ?wi?to?ci, a w konsekwencji zbawienia. Takie zadanie ma tak?e nasza wspólnota, której na imi? Pueri Cantores. Bowiem b?d?c ma?ymi wys?annikami wiary, nadziei, pokoju i pi?knajeste?my tymi, którzy s?u? ?c Bogu i cz?owiekowi, stajemy si? pomocnikami ?aski Boga. Jeste?my narz?dziami w reku Boga tak, by muzyka wychowywa?a nasz? dusz?, ale i innym w tym tak?e pomagamy. Kieruj? dzisiaj do Was ostatni mój list, jako prezydent Mi?dzynarodowej Federacji Pueri Cantores, poniewa? 26 sierpnia 2017 roku prezydenci poszczególnych Federacji z waszych krajów, wybior? w Barcelonie podczas Walnego Zgromadzenia mojego nast?pc?. Chc? wi?c ogarn?? Wszystkich Was moj? serdeczn? modlitw? i ?yczliwo?ci? oraz wypowiedzie? wielkie s?owo dzi?kuj?, za wszystkie lata w których dane mi by?o przewodzi? naszej wspólnocie. 11 lipca 2009 roku podczas naszego Kongresu w Sztokholmie, a nast?pnie 24 sierpnia 2013 w Pary?u wasi przedstawiciele dwukrotnie powierzyli mi t? zaszczytn? funkcj? i zadanie gromadzenia w jedno, prowadzenia ewangelizacji przez muzyk? i dzielenia si? mi?o?ci? oraz dobrem w ka?dym zak?tku ?wiata. Jestem te? przekonany, ?e moim szczególnym patronem i mentorem by? ?wi?ty papie? i przyjaciel Pueri CantotresJan Pawe? II, jego obecno?? czu?em w ka?dym moim spotkaniu z wami i jemu te? Was wszystkich nieustannie zawierza?em. Patrz? na wszystko co si? zdarzy?o – z ?aski Bo?ej – oraz wspó?pracy z prezydentami i korespondentami Federacji we wszystkich krajach ?wiata. Podkre?lam z ?aski Bo?ej, S?owo Bo?e nas uczy: nie nam Panie, nie nam, ale imieniowi Twemu daj chwa??. Odby?em w tym czasie blisko 180 wizyt zagranicznych i w mojej Ojczy?nie w sprawach naszej Federacji; powo?ali?my nowe Federacje w Meksyku i Portugalii, w sierpniu tego roku do tego grona mam nadziej?, do? ?czy: Haiti, Wenezuela i Kolumbia; powo?ali?my korespondentów w: Danii i Rumunii, a w sierpniu dojd? jeszcze korespondenci w: Panamie, Peru, Argentynie, Ekwadorze, Bo?ni i Hercegowinie, Chorwacji i na W?grzech; w 2013 roku zatwierdzili?my Dokument o duchowo?ci i identyfikacji z idea?ami Pueri Cantores, do niego do? ?czymy w sierpniu br. Program duchowo?ci dla ka?dej naszej wspólnoty; z przedstawicielami Ko?cio?a Anglika?skiego podpisa?em w Krakowie w dniu 25 marca 2014 roku porozumienia z Royal School of Church Music, mam nadziej?, ?e b?dzie ono s?u?y? na d?ugie lata dobrej wspó?pracy naszych dwóch organizacji muzyczno-liturgicznych; w tym czasie prze?yli?my Mi?dzynarodowe Kongresy w: Rzymie (28 grudnia 2010-1 stycznia 2011), Granadzie (11-15 lipca 2012), Waszyngtonie (3-7 lipca 2013), Pary?u (9-13 lipca 2014), Rzymie (28 grudnia 2015-1 stycznia 2016). Obecnie oczekujemy na Kongres w Rio de Janeiro, który odb?dzie si? w dniach 18-23 lipca 2017 roku. Ile te? dobra dokona?o si? w nas i w naszych chórach to sam jeden Bóg wie i w?a?nie Jemu sk?adam dzi?ki za to, ?e dane mi by?o uczestniczy? w tej misji Ko?cio?a poprzez muzyk?. Wam wszystkim dzi?kuj? za wspó?prac? i ?yczliwo?? z jak? zawsze si? spotyka?em. Dzi?kuj? moim wspania?ym poprzednikom: Siegfried’owi Koesler, którego dane mi by?o po?egna? na dwa tygodnie przed ?mierci? i podzi?kowa? za przyk?ad ?ycia dla nas wszystkich, a tak?e mojemu wspania?emu przyjacielowi i ojcu Josep Ma. Torrents, to on postawi? prawdziwe fundamenty tego, na czym ja wraz z wami wszystkimi mog?em budowa?. Dzi?kuj? moim najbli?szym wspó?pracownikom i chc? wyra?nie to powiedzie?, praca z wami by?a dla mnie wielkim zaszczytem i dzi?kuj? za ni? przyja?ni, która nas po??czy?a. Chc? te? wyzna?, ?e bez Was i waszej nieocenionej pomocy nie dokona?y by si? wszystkie te Bo?e dzie?a. Odwiedziny w domach naszych Federacji w ?wiecie, u?wiadomi?y mi konieczno?? poznania waszych problemów i spraw oraz prowadzania z mi?o?ci? owczarni Chrystusowej w tym ma?ym wymiarze jakim jest Pueri Cantores na ?wiecie, zapominaj?c o sobie i swoich sprawach. Je?li kogo? w tym czasie nie umia?em potraktowa? z mi?o?ci?, je?li nie wys?ucha?em i nie potraktowa?em z nale?n? godno?ci? oraz nie spe?ni?em oczekiwa?, je?li kogo? skrzywdzi?em, to teraz publicznie przepraszam. Mam nadziej?, ?e sam Bóg dope?ni dzie?a, które w nas rozpocz??! Przed naszymi przedstawicielami z wszystkich Federacji w ?wiecie, w dniu 26 sierpnia 2017 w Barcelonie (dla mnie symbolicznie bowiem to dzie? Matki Bo?ej Cz?stochowskiej, patronki mojej Ojczyzny) wielkie zadanie wyboru prezydenta Mi?dzynarodowej Federacji Pueri Cantores. To nie ?atwa sprawa, bowiem to nie tylko g?osowanie, ale nade wszystko powierzenie sterów naszej wspólnoty osobie, która b?dzie jak dobry ojciec czerpa? z tego co stare i patrzy? w przysz?o?? z nadziej?. Federacja obecna dzisiaj w 42 krajach potrzebuje wielkiego wsparcia i determinacji w swojej dzia?alno?ci. Jestem przekonany i wierz? w to g? ?boko, ?e przysz?o?? Ko?cio?a i ?wiata, przysz?o?? Pueri Cantores jest w r?kach Bo?ych. Prosz? wi?c Was wszystkich rozpocznijmy dzisiaj w?a?nie – w dzie? Zes?anie Ducha ?wi?tego – modlitw? do Ducha ?wi?tego Veni Sacte Spiritus … prosz?c o dobry wybór nowego prezydenta Pueri Cantores. Niech ta modlitwa codziennie nam towarzyszy. ?piewajmy j? codziennie, albo odmawiajmy, b?dziemy z? ?czeni w jeden wspólny chór modlitwy, za nasz? rodzin?, której na imi? Pueri Cantores, a w ten sposób b?dziemy wszyscy towarzyszy? naszym przedstawicielom podczas wyborów w Barcelonie. Dzi?kuj? wszystkim Wam za wszystko i prosz? o wstawiennictwo ?w. 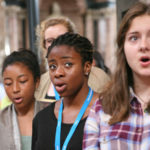 Dominika Savio patrona Pueri Cantores. Niech Bóg wszystkim Wam b?ogos?awi, niech Was strze?e i niech rozpromieni swoje oblicze nada Wami i niech Was obdarzy ?ask?! Pami?tam w modlitwie o ka?dej i ka?dym z Was kochani moi Pueri Cantores! Molt estimats Pueri Cantores, estimada família meva escollida per mi mateix! Avui Jesús es presenta davant nostre i ens diu a cada un i a cada una el que va dir als Apòstols en el Cenacle: Pau a vosaltres! Rebeu l’Esperit Sant! Aquesta situació es repeteix contínuament en la nostra vida. El dia de la Pentecosta ens omplim de l’Esperit Sant. I és així, perquè experimentem el fet de ser instruments triats per Déu mateix. En l’Església el Senyor és Un de sol, però els dons són molts. També sant Pau ens convenç avui, explicant: Ara bé, hi ha diversitat de dons, però un sol Esperit;hi ha diversitat de ministeris, però un sol Senyor; hi ha diversitat d’activitats, però un sol Déu, que ho fa tot en tots.Obrim-nos doncs a l’Esperit Sant que actua en nosaltres, i Ell es convertirà en el nostre Guia interior que ens porta vers Déu, és a dir vers el Bé i la santedat, i per conseqüent vers la salvació. Aquesta és la feina de la nostra comunitat que s’anomena Pueri Cantores, perquè essent petits missatgers de fe, esperança, pau i bellesa, siguem els que a través del servei a Déu i a l’home es converteixin en ajudants de la gràcia del Senyor. Som instruments en les mans de Déu: la música educa les nostres ànimes, però al mateix temps ajudem els altres a fer una experiència anàloga. Avui us adreço la meva última carta com a president de la Federació Internacional de Pueri Cantores, perquè el 26 d’agost de 2017 els presidents de cada una de les Federacions dels vostres Països, durant l’assemblea general a Barcelona, elegiran el meu successor. Desitjo doncs abraçar-vos amb les meves pregàries i amb la bondat del cor, i dir-vos un gran gràcies per tots els anys durant els quals he guiat la nostra comunitat. L’11 de juliol de 2009, durant el nostre Congrés a Estocolm, i després el 24 d’agost de 2013 a París, els vostres representants m’han confiat dues vegades aquesta funció honorífica i la tasca de crear unitat, d’evangelitzar mitjançant la música i de compartir l’amor i el bé per tots els racons del món. Estic convençut que el meu patró i mentor per excel·lència ha estat sant Joan Pau II, papa i amic dels Pueri Cantores. Cada vegada que m’he trobat amb vosaltres, he sentit la seva presència i sempre us he confiat a tots vosaltres a ell. Penso en tot el que ha passat – per la gràcia de Déu i gràcies a la col·laboració de tots els presidents i corresponsals de la Federació en tots els Països del món. Subratllo: per la gràcia de Déu, perquè la Paraula de Déu ens ensenya: No a nosaltres, Senyor, no a nosaltres, sinó al teu nom dona glòria! Durant aquest període he fet gairebé 180 visites a l’exterior i a la meva Pàtria, que estaven relacionades amb temes de la nostra Federació. Hem establert noves Federacions: a Mèxic i a Portugal, i a l’agost d’aquest any, espero, que s’afegiran també: Haití, Veneçuela i Colòmbia. Hem nomenat els corresponsals a Dinamarca i a Romania i a l’agost s’afegiran els de: Panamà, Perú, Argentina, Equador, Bòsnia i Hercegovina, Croàcia i Hongria. El 2013 vàrem aprovar el Document sobre l’espiritualitat i sobre la identificació amb els ideals de Pueri Cantores. Això anirà seguit, a partir de l’agost de 2017, amb el Programa espiritual per a tota la nostra comunitat. 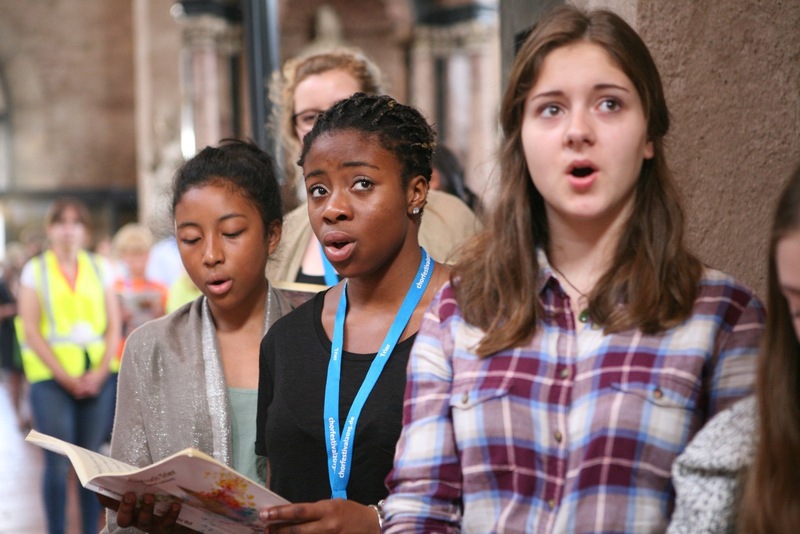 El 25 de març del 2014, a Cracòvia, vaig signar junt amb els representants de l’Església Anglicana acords amb la Royal School of Church Music. Espero que serviran durant molts anys per a una bona col·laboració de les nostres dues organitzacions litúrgiques-musicals. En aquest període de temps hem celebrat els següents Congressos Internacionals: a Roma (28 desembre 2010 – 1 de gener 2011), a Granada (11-15 juliol 2012), a Washington (3-7 juliol 2013), a París (9-13 juliol 2014) i a Roma (28 desembre 2015 – 1 gener 2016). Actualment estem preparant el Congrés de Rio de Janeiro que se celebrarà del 18 al 23 juliol 2017. Tot el bé que se’ns hagi donat a nosaltres i als nostres cors, només ho sap Déu i a Ell en dono gràcies per haver-me donat la possibilitat de participar en aquesta missió de l’Església mitjançant la música. Us agraeixo a tots vosaltres la col·laboració i l’amabilitat que sempre he trobat. Agraeixo als meus predecessors extraordinaris: Siegfried Koesler que vaig poder saludar dues setmanes abans del seu traspàs, agraint-li el seu exemple de vida que ens va donar a tots nosaltres, i en Josep M. Torrents que va posar els veritables fonaments sobre els quals he pogut construir junt amb tots vosaltres. Gràcies als meus col·laboradors més directes i vull dir-ho clarament: treballar amb vosaltres ha estat per a mi un gran honor i us agraeixo els vincles d’amistat que ens han unit. Vull manifestar que sense vosaltres i sense el vostre inestimable ajut, totes aquestes obres de Déu no s’haurien pogut dur a terme. Les visites a les cases de les nostres Federacions en el món m’han fet comprendre la necessitat de conèixer els vostres problemes i guiar amb amor el ramat de Crist en una petita dimensió formada pels Pueri Cantores del món, oblidant-me de mi mateix i dels meus propis problemes. Si en algun moment no he sabut tractar algú amb l’amor i la dignitat degudes, si no he escoltat i no he satisfet les expectatives, si he fet mal a algú – ara, públicament demano disculpes. Espero que Déu, que ha començat en nosaltres la seva obra, la porti a terme! Davant dels nostres representants de totes les Federacions del món, el 26 d’agost 2017 a Barcelona (per a mi és una data simbòlica, perquè el mateix dia s’escau la festa de la Mare de Déu de Cz?stochowa, Patrona del meu País), hi ha una tasca important, d’elegir el president de la Federació Internacional de Pueri Cantores. No és una cosa fàcil, perquè no és només una votació, sinó sobretot confiar el timó de la nostra comunitat a una persona que – com un bon pare – partirà del vell i mirarà vers el futur amb esperança. La Federació, que avui és present en 42 Països, necessita un gran suport i una determinació en el que fa. Estic convençut i ho crec profundament, que el futur de l’Església i del món està en les mans de Déu. Us ho demano a tots vosaltres: comencem ja des d’avui – el dia de la Pentecosta – la pregària a l’Esperit SantVeni Sancte Spiritus, pregant per una bona elecció del nou president dels Pueri Cantores.Que aquesta pregària ens acompanyi cada dia. Cantem-la cada dia o recitem-la, i així estarem reunits en un cor de pregària pel nostre País, per la nostra família que s’anomena Pueri Cantores. Així tots acompanyarem els representants durant les eleccions a Barcelona. Us dono les gràcies a tots per tot i us demano que preguem a sant Domenico Savio, patró dels Pueri Cantores, per tal que intercedeixi per nosaltres. Que el Senyor us beneeixi a tots i us guardi. Que us ensenyi el seu rostre i us doni la seva gràcia! Us tinc presents a tots en les pregàries, molt estimats meusPueri Cantores! Carissimi Pueri Cantores, cara mia famiglia di mia propria scelta! Oggi Gesù si presenta davanti a noi e dice a ognuna e ognuno ciò che disse agli Apostoli nel Cenacolo: Pace a voi! Ricevete lo Spirito Santo! Questa situazione si ripete continuamente nella nostra vita. Tutto il giorno della Pentecoste siamo riempiti dello Spirito Santo. È così, affinché sperimentiamo il fatto di essere strumenti prescelti di Dio stesso. Nella Chiesa il Signore è Uno, ma i doni sono molti. Anche san Paolo ci convince oggi, spiegando: Vi sono poi diversità di carismi, ma uno solo è lo Spirito;vi sono diversità di ministeri, ma uno solo è il Signore; vi sono diversità di operazioni, ma uno solo è Dio, che opera tutto in tutti.Ecco, ci apriamo allo Spirito Santo che opera in noi, ed Egli diventa la nostra Guida interiore che ci porta verso Dio, ossia verso il Bene e la santità, e di conseguenza verso la salvezza. Tale è anche il compito della nostra comunità di nome Pueri Cantores, perché essendo piccoli messaggeri di fede, speranza, pace e bellezza, siamo coloro che attraverso il servizio a Dio e all’uomo diventano aiutanti della grazia del Signore. Siamo strumenti nelle mani di Dio: la musica educa le nostre anime, ma allo stesso tempo aiutiamo gli altri a fare un’esperienza analoga. Oggi vi rivolgo la mia ultima lettera in veste di presidente della Federazione Internazionale Pueri Cantores, dato che il 26 agosto 2017 i presidenti delle singole Federazioni dei vostri Paesi, nel corso dell’assemblea generale a Barcellona, eleggeranno un mio successore. Desidero dunque abbracciarvi con le mie preghiere e benevolenza di cuore, ed esprimere un grande grazie per tutti gli anni in cui ho avuto modo di guidare la nostra comunità. L’11 luglio 2009, durante il nostro Congresso a Stoccolma, e poi il 24 agosto 2013 a Parigi, i vostri rappresentanti mi hanno affidato due volte questa funzione onorifica e il compito di congiungere in uno, di evangelizzare attraverso la musica e di condividere l’amore e il bene in ogni angolo del mondo. Sono sicuro che un mio patrono e mentor per eccellenza è stato san Giovanni Paolo II, papa ed amico dei Pueri Cantotres. Ogni volta che mi incontravo con voi, sentivo la sua presenza e affidavo sempre voi tutti a lui. Penso a tutto ciò che è accaduto – per la grazia di Dio e grazie alla collaborazione con i presidenti e i corrispondenti della Federazione in tutti i Paesi del mondo. Sottolineo: per la grazia di Dio, perché la Parola di Dio ci insegna: Non a noi, Signore, non a noi, ma al tuo nome da’ gloria! Nell’arco di questo periodo ho realizzato quasi 180 visite all’estero e nella mia Patria, che erano legate alle questioni della nostra Federazione. Abbiamo istituito nuove Federazioni: in Messico e in Portogallo, e ad agosto di quest’anno, spero, ci giungeranno ancora: Haiti, Venezuela e Colombia. Abbiamo nominato i corrispondenti in Danimarca e in Romania e ad agosto aggiungeremo ancora quelli in: Panama, Perù, Argentina, Ecuador, Bosnia ed Erzegovina, Croazia e Ungheria. Nel 2013 abbiamo approvato il Documento sulla spiritualità e sull’identifacazione con gli ideali Pueri Cantores. Esso sarà seguito, a partire da agosto 2017, dal Programma spirituale per ogni nostra comunità. Il 25 marzo 2014, a Cracovia, ho firmato insieme ai rappresentanti della Chiesa Anglicana accordi con la Royal School of Church Music. Mi auspico che essi serviranno per tanti anni di una buona collaborazione delle nostre due organizzazioni liturgiche-musicali. In quel periodo di tempo abbiamo vissuto i seguenti Congressi Internazionali: a Roma (28 dicembre 2010 – 1° gennaio 2011), in Grenada (11-15 luglio 2012), a Washington (3-7 luglio 2013), a Parigi (9-13 luglio 2014) ed a Roma (28 dicembre 2015 – 1° gennaio 2016). Attualmente stiamo aspettando il Congresso di Rio de Janeiro che si svolgerà dal 18 al 23 luglio 2017. Quanto bene si sia versato in noi e nei nostri cori, lo saprà solo Dio e proprio a Lui rendo grazie di avermi dato la possibilità di partecipare a questa missione della Chiesa attraverso la musica. Ringrazio voi tutti per la collaborazione e per la benevolenza che ho sempre sperimentato. Ringrazio i miei predecessori straordinari: Siegfried Koesler che ho salutato due settimane prima della sua scomparsa, ringraziandolo allora per il suo esempio di vita dato a noi tutti, e il padre Josep M. Torrents che aveva posto i veri fondamenti sui quali io potevo costruire assieme a voi tutti. Grazie ai miei collaboratori più stretti e desidero dirlo chiaramente: lavorare con voi è stato per me un grande onore e vi ringrazio per il legame di amicizia che ci ha uniti. Vorrei confessare che senza di voi e senza del vostro inestimabile aiuto, tutte queste opere di Dio non sarebbero potute realizzarsi. Le visite nelle case delle nostre Federazioni nel mondo mi hanno fatto capire la necessità di conoscere i vostri problemi e di guidare con amore il gregge di Cristo in una piccola dimensione costituita dai Pueri Cantores nel mondo, dimenticando se stesso e i miei propri problemi. Se in quel periodo non ho saputo trattare qualcuno con amore e con dignità dovuta, se non ho ascoltato e non ho soddisfatto le aspettative, se ho fatto del male a qualcuno – adesso, pubblicamente chiedo scusa. Spero che Dio, che ha iniziato in noi la sua opera, la porti a compimento! Davanti ai nostri rappresentanti di tutte le Federazioni del mondo, il 26 agosto 2017 a Barcellona (per me è una data simbolica, poiché allora cade la festa della Madonna di Cz?stochowa, Patrona della mia Patria), è posto un grande compito di eleggere il presidente della Federazione Internazionale Pueri Cantores. Non è una questione facile, perché non è solo votazione ma soprattutto affidamento del timone della nostra comunità a una persona che – come un buon padre – attingerà dal vecchio e guarderà verso il futuro con speranza. La Federazione, presente oggi in 42 Paesi, ha bisogno di un grande sostegno e di una determinazione nel suo operare. Sono convinto e ci credo profondamente, che il futuro della Chiesa e del mondo sta nelle mani di Dio. Chiedo a tutti voi: iniziamo proprio oggi – nel giorno della Pentecoste – la preghiera allo Spirito SantoVeni Sancte Spiritus, pregando per una buona scelta del nuovo presidente Pueri Cantores. Che questa preghiera ci accompagni ogni giorno. Cantiamola tutti i giorni o recitiamola, e così saremo riuniti in un coro di preghiera per la nostra Patria, per la nostra famiglia di nome Pueri Cantores. In questo modo tutti accompagneremo i rappresentanti durante le elezioni a Barcellona. Ringrazio tutti quanti per tutto e vi chiedo di pregare san Domenico Savio, patrono dei Pueri Cantores, affinché interceda per noi. Il Signore vi benedica tutti e vi custodisca. Mostri a voi il Suo volto e vi dia la sua grazia! Vi ricordo tutti nelle preghiere, carissimi mieiPueri Cantores!